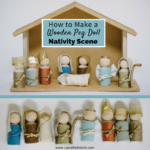 This post is sponsored by Campfire Bay, a home decor company in Waconia, Minnesota. 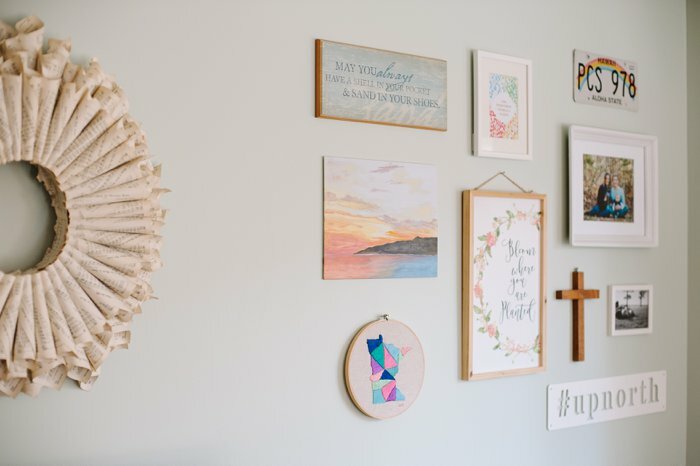 Easily decorate your home with these 6 key tips for a killer gallery wall, featuring amazing home decor products from Campfire Bay, a family business in Minnesota. I am no Joanna Gaines, and I don’t pretend to be even a little bit. I am a creative person, but I am not an interior designer. 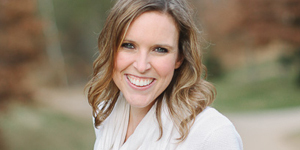 What I am though, is a type A person with a desire to create a life-giving home. A home that hugs my family at the end of the day. A home that shelters us from the outside world when we need a refuge. Part of the way I try to do that is by including meaningful items in my home decor. Filling our walls with significant things that make me happy, just like I do with our shelves. My home is not going to win any magazine awards for best home decor, but it does welcome me with open arms when I walk through my door. My walls won’t be on any TV shows, but they are filled with pictures, frames and signs that make me smile. The two gallery walls I created this year draw my eye to them many times a day, and make me happy. My house is a home because of the people in it, as well as because of the meaningful decor that adorns its walls and shelves. Our stuff is significant. 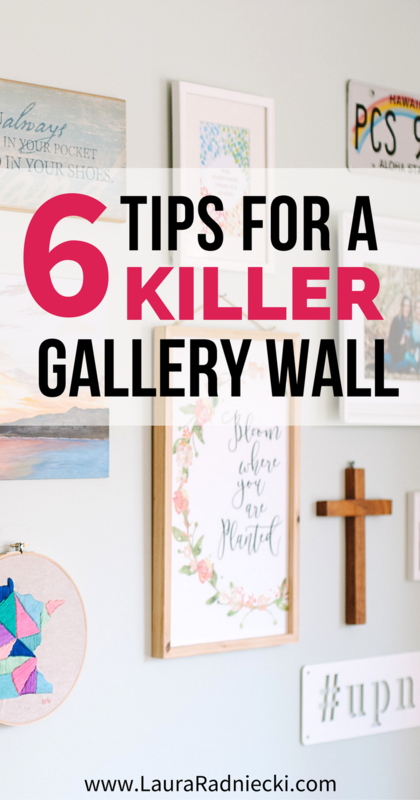 With these 6 key tips, you can create a killer gallery wall in your own house, making it not just a house but a HOME. 1. Choose your items carefully. To me, this means that everything I hang on the wall has to meet two out of three criteria. Bonus if it meets all three! And the third criteria is that I love it and it makes me happy to see it. If it fits either of the first two and it makes me happy, it’s game for the gallery wall. Every item I hang on my wall is carefully chosen to make sure it meets those qualifications. 2. NO obligations or guilt allowed. 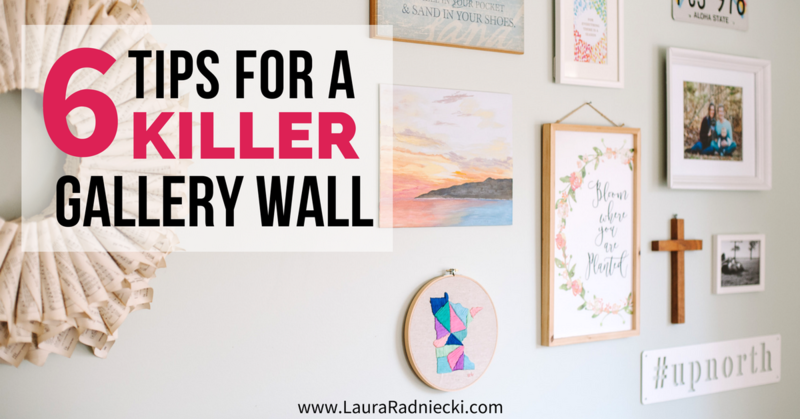 This goes hand in hand with number one, but it’s crucial that everything you hang as part of your gallery wall makes you happy when you see it. Because you are going to be seeing it a lot. Sometimes things might be sentimental but they don’t go with your aesthetic. Or maybe they make you feel negatively for some reason. If that’s the case, that item is not right for the gallery wall. 3. Keep color schemes in mind. The other (not pictured) is a super random hodgepodge of different colored frames from around my house. While that gallery wall still makes me smile because the photos and items in it are special to me, it does look haphazard and thrown together. At least once a week, I look at it and want to either paint all of the frames one color, or else buy new frames and replace them all. My point is that if you are trying to have a classy, cohesive look to your gallery wall, it is ideal to stick with a color scheme, at least for the majority of the frames. And if you like a shabby chic look, you can choose to go wild with the frames too; it’s up to you! 4. Mix and match sizes for balance. Gallery walls typically have a variety of large and small pieces in them. I am sure some interior designers have a specific formula for how many pieces should be big, how many should be medium and how many should be small but hey, I’m not a designer, remember? In my case, I have a couple large pieces that serve as anchors to my gallery walls, and then I filled in smaller pieces around them. My number one factor in choosing items for the gallery was their significance to me, so size was an afterthought. But by balancing some large pieces with medium and small pieces, you can achieve a sense of balance to your gallery wall that wouldn’t be possible with too many of one particular size. 5. Consider the hanging options. When I hung both of my gallery walls, I used a mix of nails and Command strips. It depended on the type of frame or item, and what type of hanging mechanism it had on the back. 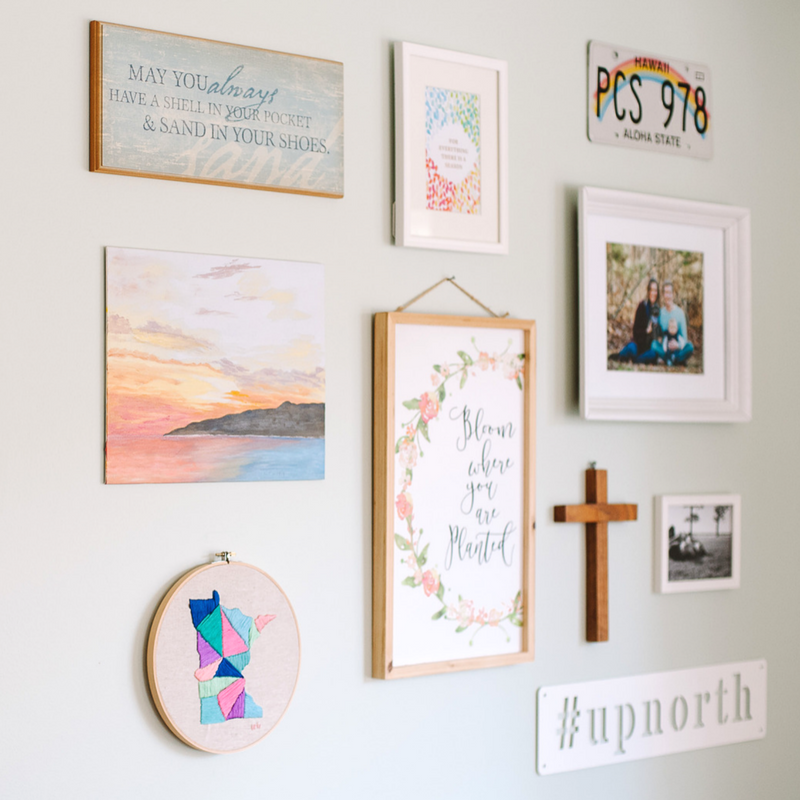 Although more expensive, I like Command strips best because they can be removed without damaging your walls, and they really do make it simple to hang frames quickly with minimal measuring. 6. Remember, nothing is permanent, and done is better than perfect. 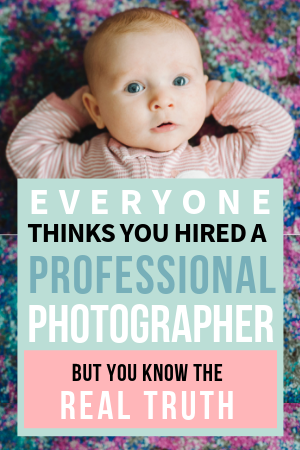 In my humble opinion, this is one of the most important things to remember, both about gallery walls and most things in general. It’s just a gallery walls, guys. If you screw it up or hate it, you can take it down. If you made a bunch of nail holes in your wall, you can fill them and start over. It’s not permanent; you can change your mind. 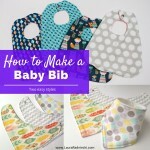 You can also change it up, or add to it as needed. It’s a fluid part of your home decor. The other part of this point is a quote by Lara Casey, one of my favorite people on the internet. I actually have this quote written on a sticky note on my computer monitor to remind me not to get too bogged down in the details. It’s so easy to get paralyzed with trying to make things perfect, or worried that you won’t be able to ever make it perfect. Sometimes, you’re so worried you don’t even start! Instead, I try to remind myself that done is better than perfect. Getting the mix matched frames and photos up on my bedroom wall into a haphazard gallery wall to finally fill a space that had been blank for nearly 5 years? That is better than continuing to think about it and wait for things to be perfect before I started. I’m sure there are obviously more technical aspects to creating a gallery wall, according to the seasoned pros. Things like how for apart to space your items or at what level to hang them are things to keep in mind. But honestly? I think it’s pretty hard to screw it up. With both of my gallery walls, I started with my favorite big piece and hung that first. Then I added things one at a time, stepping back to look and assess in between each item. You can lay out your items on the floor to get an idea of where they’ll go. 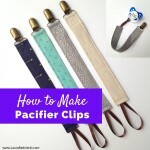 If you want to get super picky, you can cut out paper pieces in the shape of your items and tape them to the wall to make sure you get the exact configuration you want. 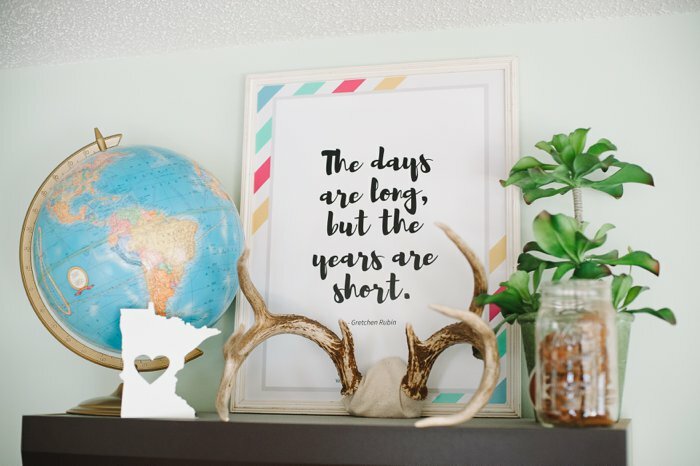 I’m living in the messy, distracted world of raising a toddler right now, so I don’t have mental space or time to be that detailed and picky about my home decor. “Done is better than perfect” remains one of my life and family mottos. 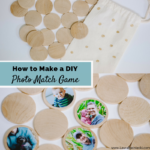 This post is inspired and sponsored by Campfire Bay, a home decor company based out of Waconia, Minnesota. 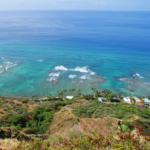 Campfire Bay is a family-owned company, started by parents Brent and Heidi, and their three daughters. They make fun and uplifting home decor and outdoor campfire equipment designed to bring the family together. Many of their items have an up north flair. 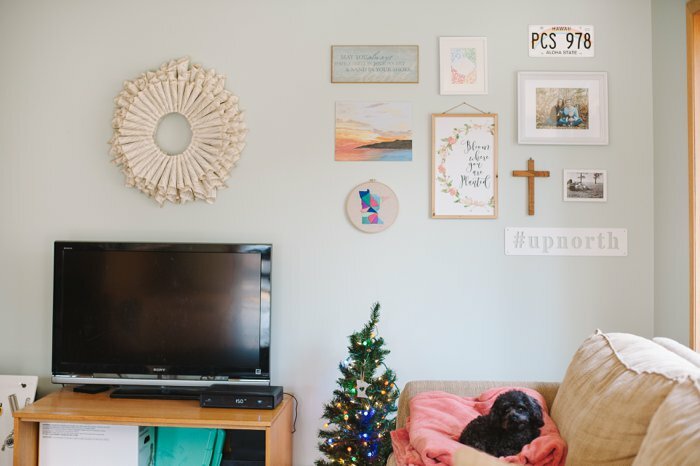 I added a handful of new home decor items to my house recently, thanks to Campfire Bay, but one of my favorites is the newest addition to my living room gallery wall. 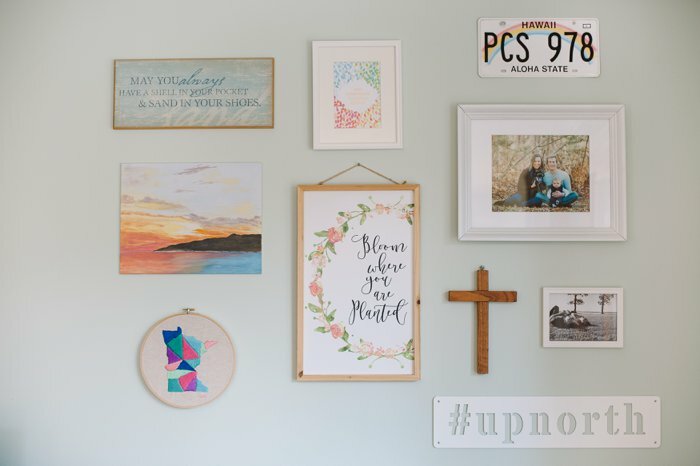 The white #upnorth metal sign is the perfect addition to my gallery wall. I’m proud to live in Minnesota, and I love living up north. I love the sign even more since cofounding Up North Parent. 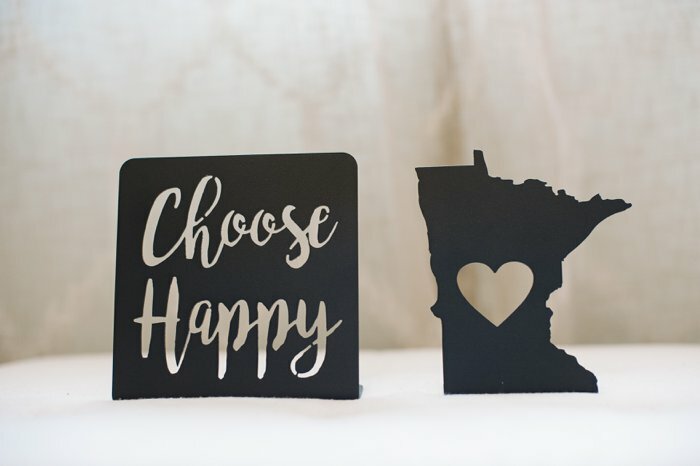 Some of the other signs I’m going to be adding to our home’s shelves are the white Love Minnesota sign, as well as a black version of the same sign, and the black Choose Happy sign. We’re remodeling my craft room to be an office/craft room/kid play space all in one (it’s a huge room), so I’ve got plans for those to go on the new floating shelves we have ordered. 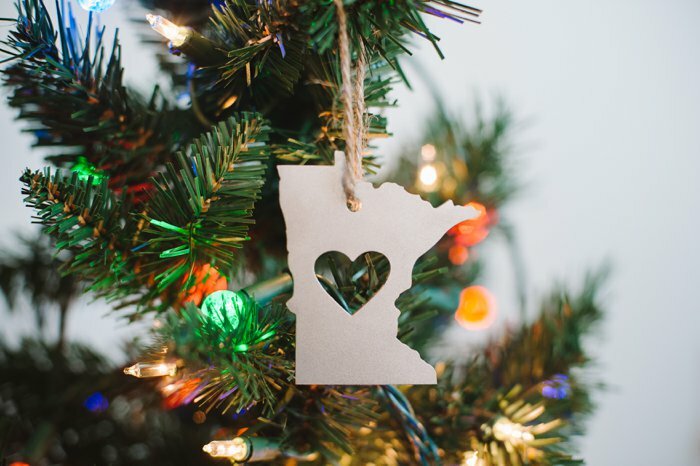 Campfire Bay also has new Christmas ornaments available, and of course I fell in love with the Love Minnesota ornament too. I can’t wait to hang it on our big Christmas tree when we decorate! For now, it’s hanging on Raleigh’s little tree underneath our gallery wall. Being an entrepreneur myself, I especially love supporting others who are going after their dreams and making their goals happen. Knowing Campfire Bay is a family-run business that involves their three daughters makes me love the already awesome products even more. All of Campfire Bay’s signs make the perfect addition to a gallery wall, shelf or mantle, and it supports a family business in the process. And that to me, is a true win-win! P.S. Details about my living room gallery wall can be found here!